In conclusion, bears continue to hold the edge for now. 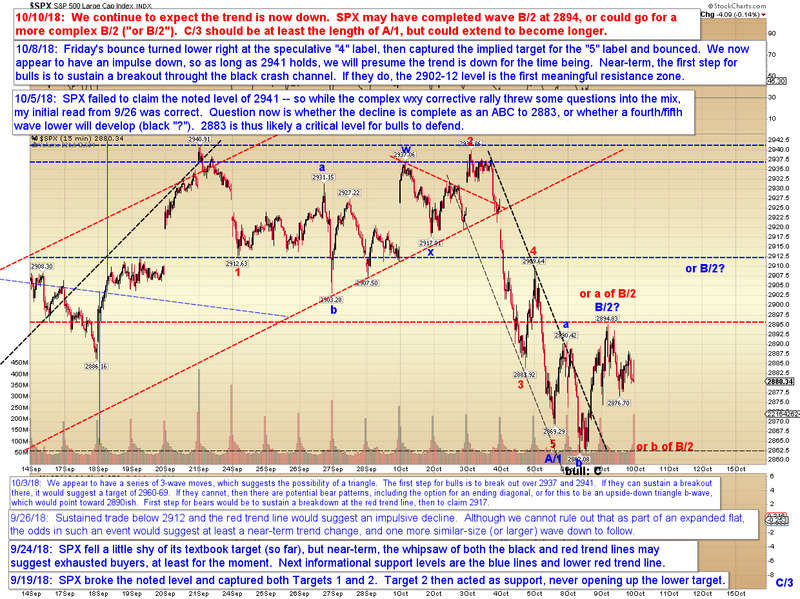 If B/2 completed yesterday, then we would expect SPX to head toward a first target in the mid-2820's, with a shot at a second target in the mid-2780's. 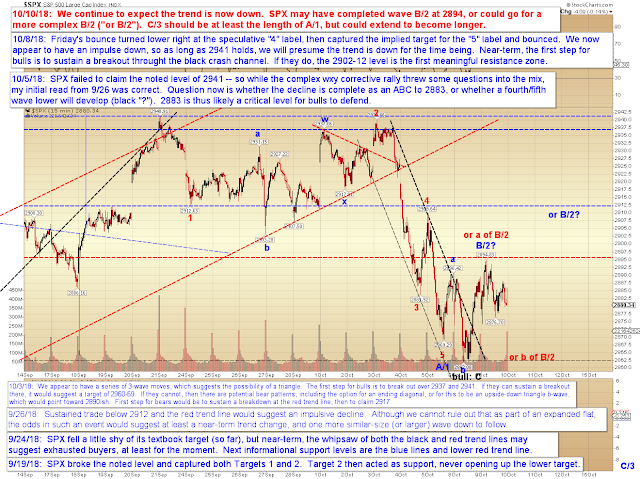 Those target levels would change (higher) if SPX manages to bounce higher for a more complex corrective B/2. Continue to keep in mind that in the event the much larger B-wave completed at the recent all-time-high (still uncertain), then SPX is ultimately headed toward the low 2500's before it's said and done. Trade safe.